In a world of evolving technology it can be overwhelming to decide on the right choices to integrate into your business. Our goal is to guide you in creating a well systemised and automated business with very little time needed to maintain it. With a passion for sustainability in all aspects of life, Andrew brings his logic and care for efficiency to his business strategy sessions. Andrew has been working with companies in the Business Process Automation space for 10 years of which 8 have been as an ONTRAPORT Consultant. A business is a vehicle that can transport you to your chosen destination in life. Starting with a clear vision of where you are going is the first step in planning the path ahead. IT Mooti specialises in building custom integrations for ONTRAPORT so that you can get the best out of the featurs you love in other services and then super power the Automation from ONTRAPORT. IT Mooti has developed many custom integrations with Xero including our own app XOSync. A quick and easy form builder for collecting validated data from your leads or clients to trigger the next stage of Automation in ONTRAPORT. Take contact information from ONTRAPORT and use that in beautifully designed rich text documents in WebMerge. When migrating to ONTRAPORT from your existing service, get it done more efficiently with our help and start using ONTRAPORT sooner. Feeling confused by InfusionSoft? We can take the pain out of the migration process to ONTRAPORT. Ready to upgrade to more Automation? Let us efficienty transport your data and campaigns across to ONTRAPORT. 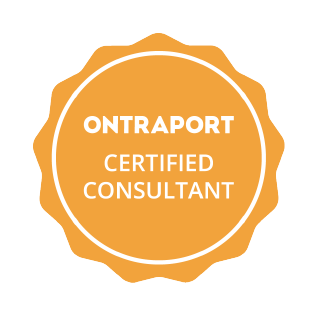 Reach out to us when making the move from ActiveCampaign to Ontraport to make the process easier and more efficient. With Custom Objects in ONTRAPORT, many of the complex systems built into Salesforce can be achieved in ONTRAPORT but at a ffraction of the price. IT Mooti’s development team live and breathe wordpress. We have built extensive custom integrations as plugins for business that are easy to configure and use. Do you sell in Shopify? No problem! We have integrated Shopify deeply into Ontraport for many of our clients. Do you want to run Ontraport Automation off a custom MySQL database? Many businesses have complex database requirements that can still be used in conjunction with ONTRAPORT. WordPress is our preferred CMS and expert team of developers can created custom plugins and themes that do what you need to be done on your website. Following up and nurturing your leads is so much easier with ONTRAPORT. Integrating a scheduling or booking system can streamline the process. Organising appointments with leads and clients has never ben easier. Integarting with ONTRAPORT can then trigger automation pre and post appointment. Fully automate your online bookings by adding all of your scheduled appointments into an ONTRAPORT Custom Object setup. Bring booking information from Checkfront to Ontraport so that your clients receive automated communications before and after their event. Send leads from Ontraport automatically into a MyCause campaign. If you are using a job or project management service that has an API, then let us help you integrate it with ONTRAPORT to get the best out of both platforms. Automate the communications at various stages of project management out of Aroflow with the power of ONTRAPORT Campaigns. Add the power of ONTRAPORT’s Marketing Automation to your job management system so that you keep your clients coming back and referring work. Follow up with your clients from Bookeo and then add them to long term nuture campaigns to bring them back again. Automate booking confirmations out of Ontraport that include all the relevant information out of Cliniko. Follow up with reminder and renewal Campaigns. Andrew Wadsworth and his company Itmooti are the real deal. Andrew is not only brilliant at what he does he is also a caring, attentive and phenomenal asset to any endeavor he undertakes. I was blessed to have Andrew help me in setting up systems for my online businesses not only from a technical standpoint but also as someone who helped me craft the big picture for my company. His knowledge in all areas of online marketing are second to none. 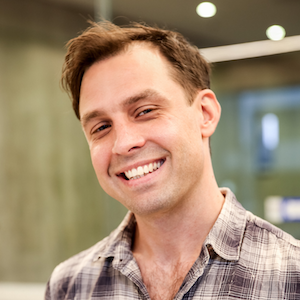 If you get the chance to work with Andrew I would jump as high as you can and grab onto his energy, enthusiasm and dedication to making your company a success. I am honored to call him my friend. Thank you Andrew for all you have contributed to helping me further my vision. Only when we know how we want to live our lives can we take the steps to ensure our business is aligned with taking us there.